We supply a full range of multiwall polycarbonate glazing sheets for roofing, greenhouses, carports, canopies, conservatories and roof-lights. 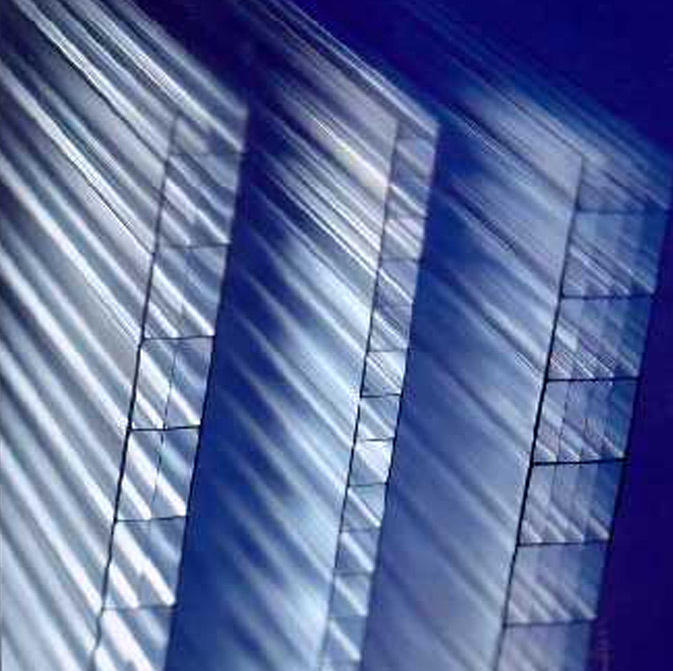 Polycarbonate is supplied in a range of Standard Size Rectangles or Cut-to-Size Rectangles. The polycarbonate that we supply is manufactured in the UK by Brett Martin. 16mm (Triplewall) Clear, Bronze and Opal. 25mm (Fivewall,X-Section) Clear, Bronze, Opal, Bronze Opal, Heatguard Opal. 35mm (Sevenwall) Clear, Bronze, Opal, Bronze Opal, Heatguard Opal. Polycarbonate Glazing panels are simple to fit. Omega supplies a range of Glazing Bars and Fixing Buttons. We can supply 'extra-long' polycarboante multiwall sheets up to 7M in length to many parts of the UK. Please contact us for a quotation. Multiwall Polycarbonate Glazing Sheets - Omega Build supply a range of roofing components such as Multiwall Polycarbonate Glazing Sheets, diy conservatory roof kits, polycarbonate roofing sheets, polycarbonate canopy kits and much more. You are currently browsing the Multiwall Polycarbonate Glazing Sheets category of our polycarbonate sheets and canopies shop. I would recommend your affordable products (Multiwall Polycarbonate Glazing Sheets | Multiwall Polycarbonate Sheets) to anyone else considering this product, as it has been superb. Omega Build Shop | Multiwall Polycarbonate Glazing Sheets | Multiwall Polycarbonate Sheets. You are viewing Multiwall Polycarbonate Glazing Sheets | Multiwall Polycarbonate Sheets, buy online today!